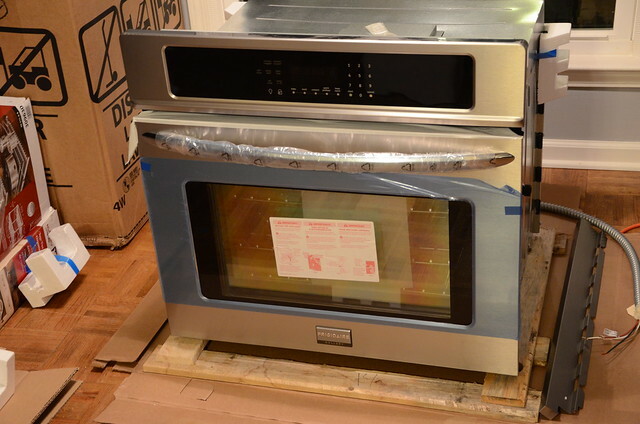 Second Chance Studio: We have an oven!! 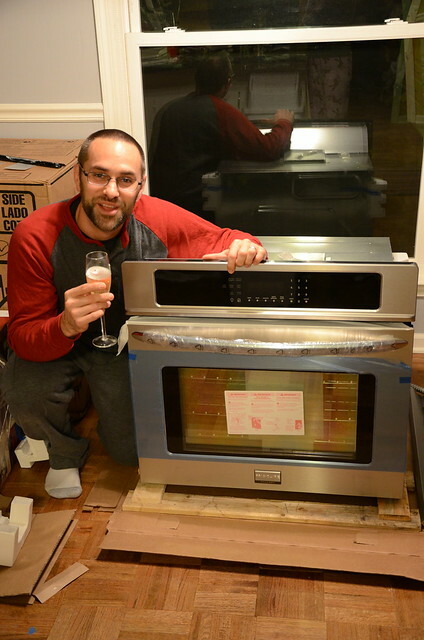 We have an oven!!! I have successfully cooked a couple of dinners in it now, so I know it works. It was delivered on Friday. We painted the cabinet Friday night, but it took a couple of days for the paint to completely dry. I promise the paint is not this yellow in real life. Mitch got to spend New Year's with the oven because I had strep throat. Great way to spend New Years, huh? 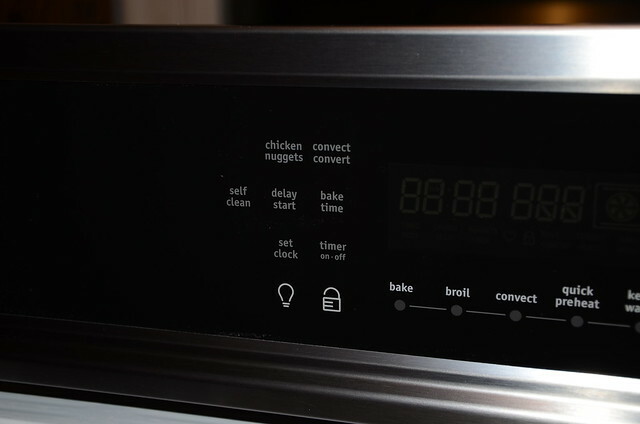 When we pulled out the oven, we realized there was a chicken nugget button. What is up with that? We all thought it was a bit strange. On Monday the paint was finally dry enough for Mitch to install the oven. He enlisted the help of his dad. They were able to get it in the space with no problems. Then Mitch hooked up all the electrical. 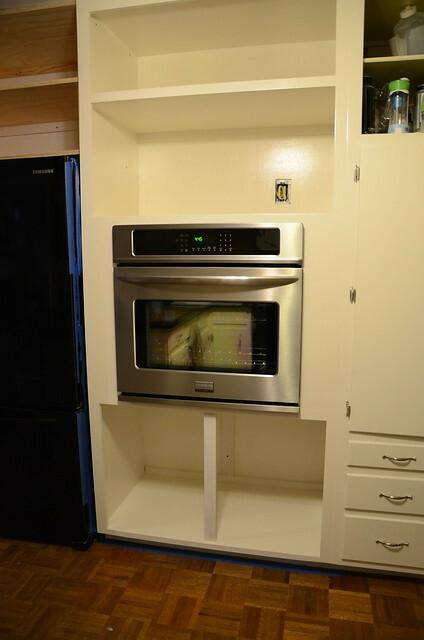 The microwave is going to go in the space above the oven. 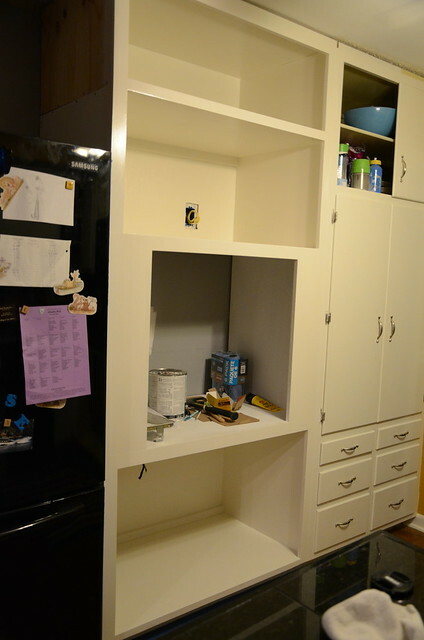 While he was waiting for the paint to dry over the weekend, Mitch was able to make the cabinet above the fridge. I love how built in the fridge looks. He even found time to start working on the base for the bottom cabinets on the other side of the fridge. 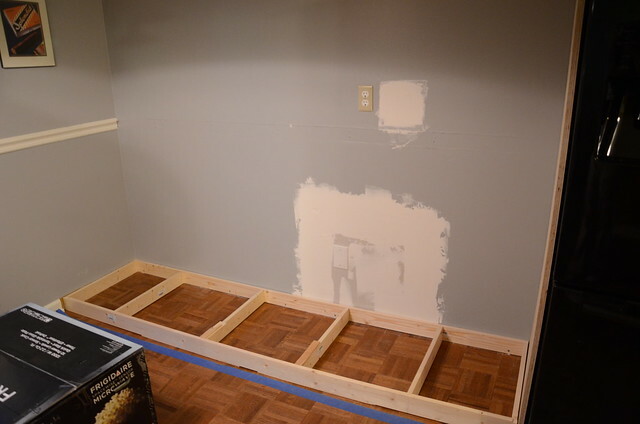 Mitch has planned out the cabinets and drawers for this side of the room. He is hoping to start building them this weekend. He also found a 8 foot piece of butcher block countertop that we might pick up this weekend. Things are coming along beautifully. Chicken nuggets is the way of the world I guess. ?????? I hope you are feeling better from being sick on NYE. don't you cook chicken nuggets more than any other food???? tee hee... how weird. oh...it is shaping up so beautifully! i'm in kitchen envy over here. A chicken nuggets button? That sounds like there was a dare in the manufacturing department. 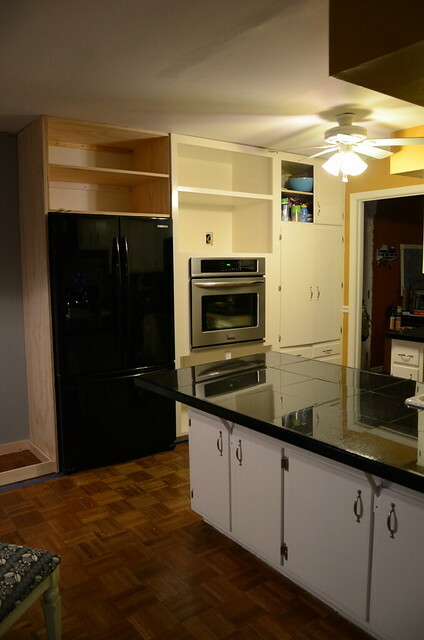 I am jealous that your kitchen is officially more completed than ours! Looks lovely.